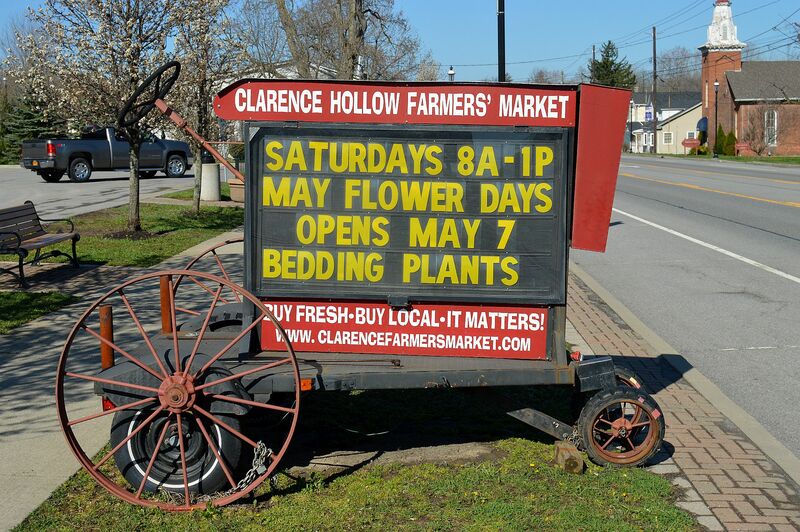 You know it’s a good sign when you start seeing the words “Clarence Hollow Farmers’ Market.” This Saturday, May 7 and continuing each Saturday through the month, there will be a select group of vendors the market from 8:00 a.m. to 1:00 p.m. The market is located at 10717 Main Street. The May Flower Days offers a select group of vendors offering an assortment of hanging baskets, bedding and vegetables plants and other specialty items. The first full-season market opens on Saturday, June 4th, which includes the opening of the Country Store, Coffee Hut, Snack Shack, Wine Haus, Lil Sprouts activity tent, live entertainment and many wonderful vendors. The market is completely run on volunteer help. Due to it’s location, it’s the only farmers’ market located on a New York State Rails-to-Trails. You can visiting the farmers’ market website by clicking here. Next Next post: Bike or Shuttle for the Pub Crawl?